Captain Ken’s Foods, Inc. is a food processing company that produces consistent quality products for the foodservice and retail markets, and other food processors. We will work with customers to develop innovative process food solutions and provide dependable service from our USDA certified facility and will continue the rich tradition that was started in 1967 by Captain Ken Freiberg, the company’s founder. 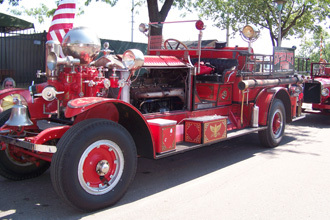 In the summer of 1943, Ken Freiberg began his career as a firefighter in St. Paul, Minnesota. 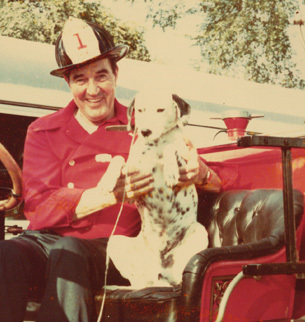 In 1953, he was promoted to Captain of Firehouse Number 14, where it was customary for each fireman to cook meals for their fellow firefighters. Captain Ken’s specialty was oven-baked beans with bacon. Word spread and people from miles around would stop by the fire station hoping to sample some of Captain Ken’s mouthwatering oven-baked beans. Ken sold his first dish of oven-baked beans from a food stand he opened at the Minnesota State Fair in 1964. It was a big hit. A few years later, at the age of 55, Ken retired from the fire department and started Captain Ken’s Foods. Today, nearly 50 years later, Captain Ken’s follows the same slow, oven-baking process to make their beans from scratch. But Ken didn’t just make beans. He created many other mouth-watering recipes including Captain Ken’s Original Firehouse Chili. Other favorites followed including Chicken Chili, Sloppy Joe, Taco Meat, Tater Tot Casserole, BBQ Beans, Gramma D’s Beans (“Calico” Beans), Macaroni & Cheese, Wagon Trail Chili, plus many more. All products are made using premium ingredients, are pre-cooked, and then flash frozen to lock in freshness. Try some today and we know you’ll be back! Copyright © 2013 Captain Ken's Inc.